One of the conundrums I regularly face as I view what is going on in the world is working out who are the good and the bad guys. A long time ago I concluded that a person is not so much good, bad or mad but rather a combination of all three in varying proportions. While like many others, I say I try not to be judgmental, I find judging is nigh inevitable since deciding where a person lies on the good and bad/mad spectrum will influence how I view their words and deeds and view events in the world. Besides our prejudices and worldviews etc. and despite our best efforts, we know not enough to come to a fully rounded and informed opinion as to what is going on in the world and how (assuming we can) to deal etc. with individuals etc. To say none of this matters is to deny the reality. 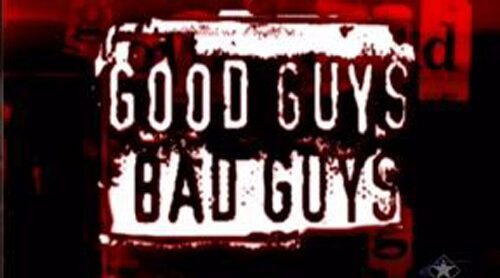 I try not to get irked when people who I think ought to know better deem good guys to be bad and bad guys to be good and try, not always successfully, to avoid falling out. It is also important in making right decisions on what is going on around us. Today I came across an interesting article by a group called Q-Anon. I am not here to endorse or otherwise Q although some of what they say makes sense. Their take on what is going on, albeit from a USA “patriot” perspective, often resonates with my own understanding. In their article, titled “Players in the Game”, they considered around 100 well known figures (most of who I am aware of and have at least a provisional view) and put each one into one of five categories: Evil, Patriot, Traitor / Pawn, Flipped / Freed and Neutral / Unknown. While Q’s view sometimes differed from my own, in many cases it aligned.